When Is The Best Time To Schedule Your Home Renovation? 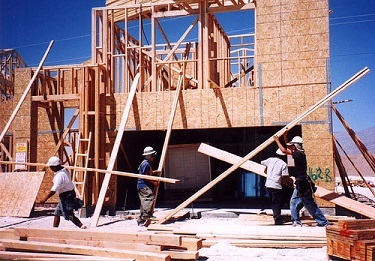 If you are planning on home renovation, it’s usually encouraged that you try to get it done during the summer. It’s usually much easier to do it then based on many things. For one, the fact that the weather will be very conducive will make it much easier for everyone to work. In addition to that, it also means that you can actually vacate the home easily if you need to. During the winter, having to find alternative accommodation if the renovation is extensive will be more difficult and time consuming. One of the challenges that people face when doing home renovation is having too many people in the home. To avoid this, you should consider getting the job done when your household members are away. For instance, if most of your children are in boarding school, you could choose to get the renovation done when they are in school. This way, there won’t be any risk of having too many people in the way during the process. This will not only make them safer, but will also ensure that the project proceeds at the pace that it needs to as well. If you think that you will need to put your house on sale sometime soon, you should consider doing the renovation early on as well. You should avoid doing home improvement just before you put the house on sale, since it may be obvious to the potential buyers that you spruced it up just so that you can sell it. Having some time between doing the improvement and actually putting the house in the market will mitigate this effect, and will make the house more appealing to the potential buyers. Choosing when to do your renovations will have an effect on the cost of the project, how easy it will be to undertake and a host of other things. Thinking carefully about when to do it should therefore be part of your planning. The above are just a few of the tips you can use to make a better decision regarding this, and it will also ensure that you don’t leave this aspect of planning to chance. Copyright © 2013 pkconstruction. All Rights Reserved.